The Fitbit Inspire™ and Inspire HR™ leather band is made of Horween® leather* and includes an aluminium buckle. Horween leather is a high-quality leather hand-crafted and tanned in Chicago through traditional tanning techniques. Because this band is made from natural materials, it will mold to your wrist and develop an aged patina finish over time. *Leather accessories are made of Horween leather and other materials. 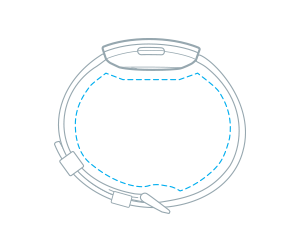 The Fitbit Inspire™ and Inspire HR™ leather band is not sweat or water resistant. 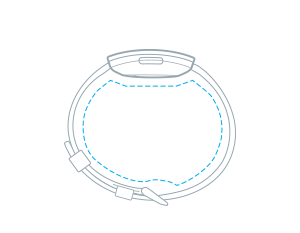 We recommend limited to no contact with moisture to reduce discoloration/damage to the band. The Fitbit Inspire™ and Inspire HR™ leather band is not intended for high-intensity workouts. If the band gets wet or dirty we recommend using a non-abrasive, lint-free cloth. If needed, you can lightly dampen the cloth with water and let the band air dry.